When an Underwater Base comes under attack, the Doctor and Clara must save the frightened crew and defeat an impossible threat. But what is behind these terrifying events? And can they really be haunted by ghosts? Guest cast: Colin McFarlane, Sophie Stone, Zaqi Ismail, Morven Christie, Arsher Ali, Steven Robertson, Paul Kaye. "It’s impossible! It’s evil! I hate it! It’s astonishing! I want to KISS IT TO DEATH." Under a lake, in the dripping gloom of an underwater base, stands a gleaming black space ship, recovered from the lake bed. Nothing is inside - but when the base crew start dying, they make a terrible discovery: ghosts are real! And their friends are refusing to stay dead! 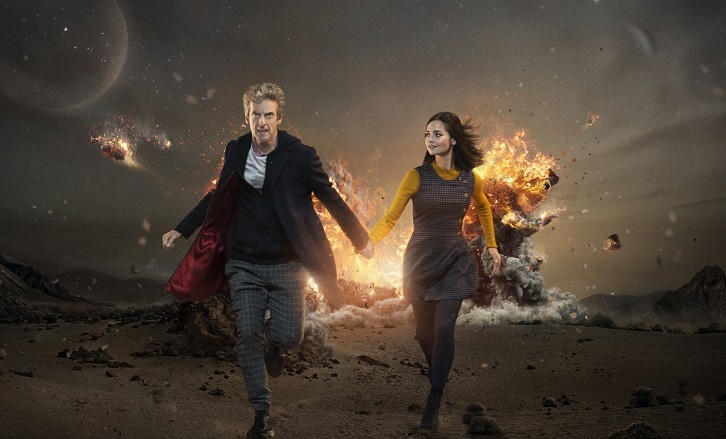 The Doctor and Clara arrive to find a base under siege from beyond the grave. But how can the dead be walking? What has brought them back? When the Doctor discovers the truth, it is more terrifying than any simple ghost story. Sandi is part of the Senior Staff at SpoilerTV having been a contributor from back in the Lost days of DarkUFO, and who now writes previews for Banshee, The Musketeers, Poldark, and other BBC shows. She also enjoys watching and commenting on other shows such as Reign, Orphan Black, Game of Thrones and The Flash.